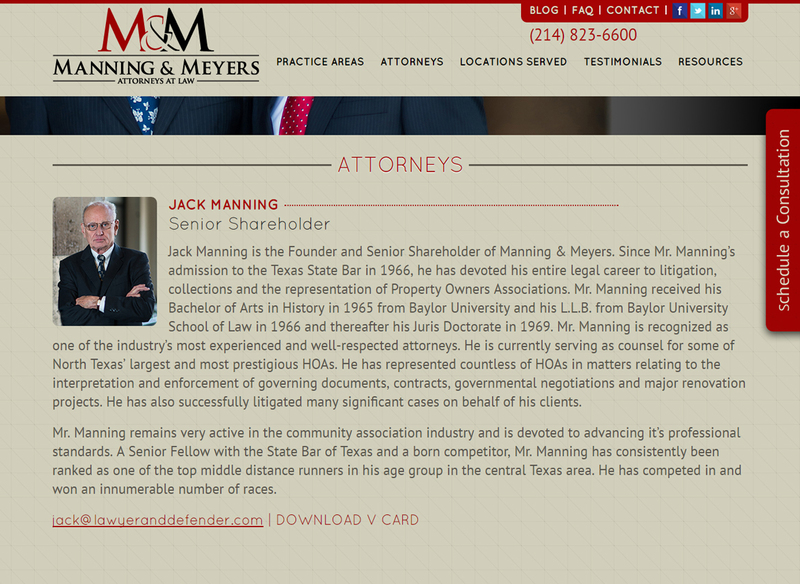 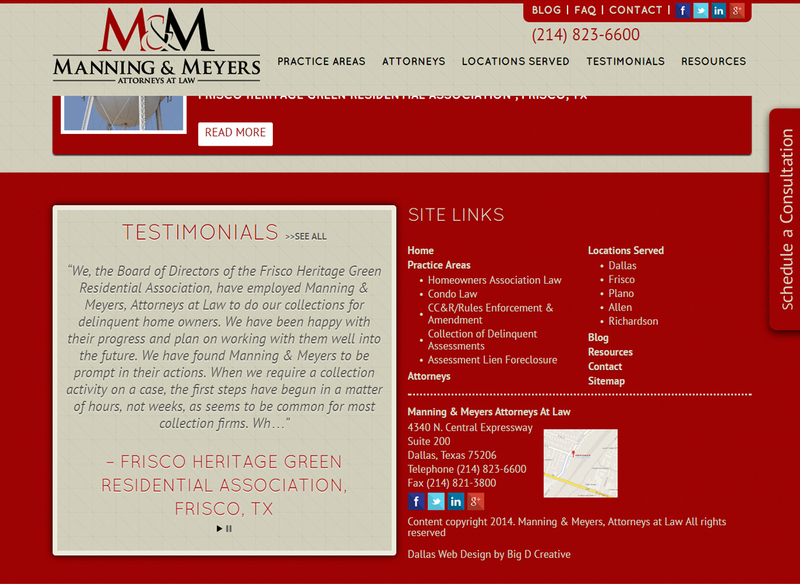 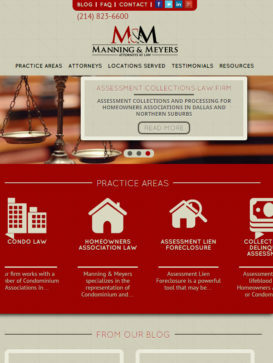 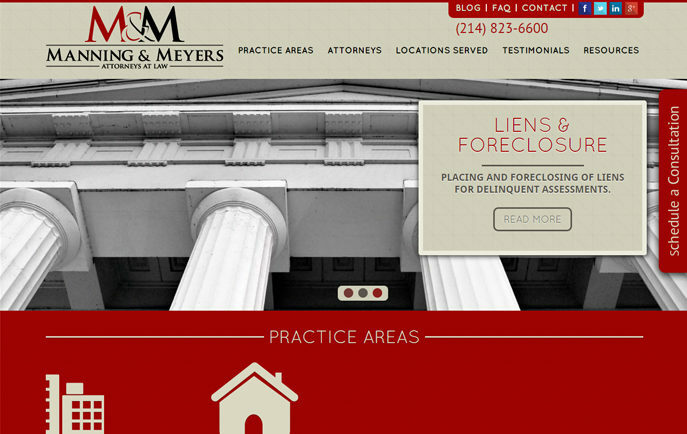 Manning & Meyers specializes in the representation of Condominium and Homeowners Associations. 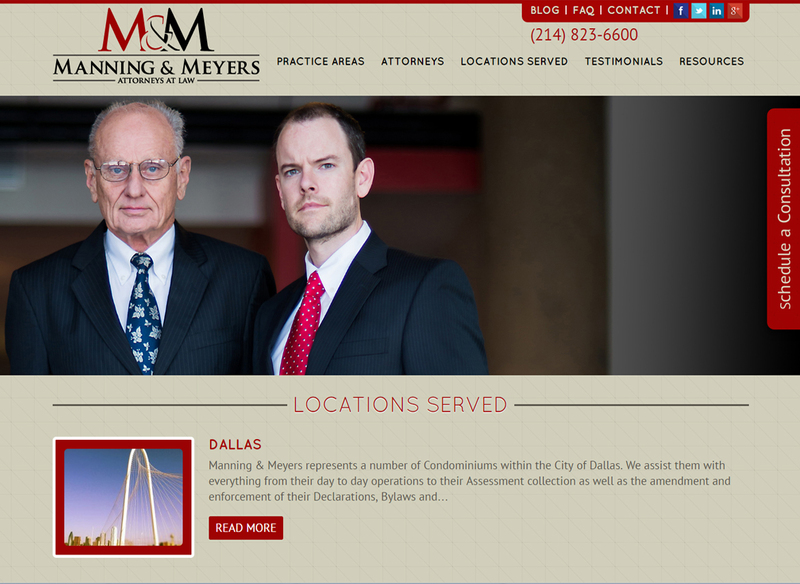 We have developed substantial expertise and experience in dealing with management companies and serving Boards of Directors of Associations. 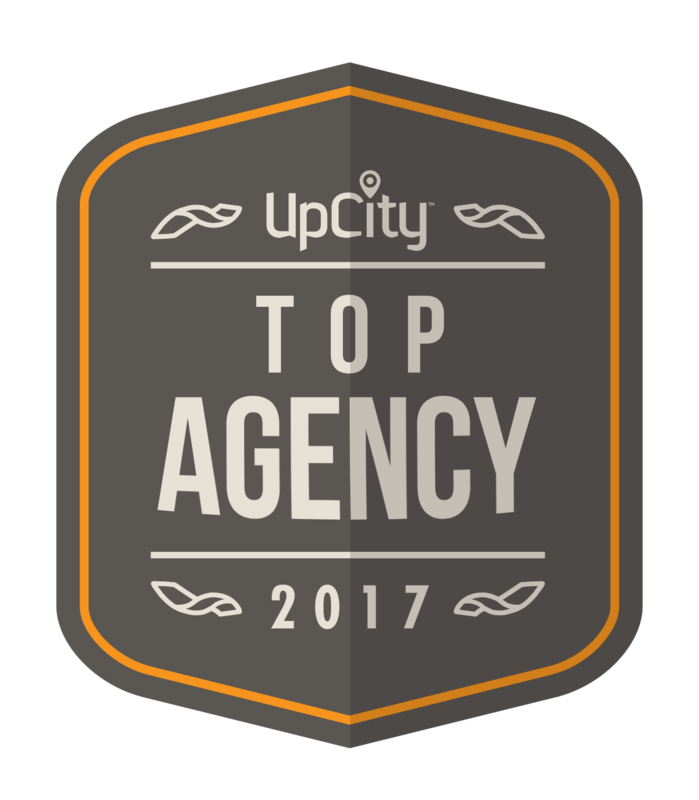 We understand that the ultimate client is the homeowner and we strive to provide the greatest value to the Association and to the Homeowner.